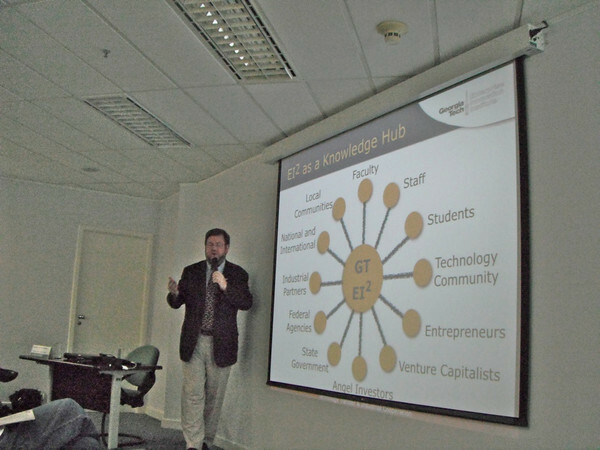 I gave several talks in Brazil on innovation, university commercialization, and venture investing. I have some thoughts on this that I’m going to document at length a bit later. An interesting discussion with a professor. I noted that their buildings weren’t named after anyone. He laughed and explained that the practice of conspicuous philanthropy didn’t exist in Brazil. He claimed it was part of the Catholic culture… No one wanted to be seen as having so much money that they could give that much away… And, if they did give it away, it should be to the Church. Interesting contrast to America’s Protestant/Calvinist roots… where being ostentatiously prosperous indicated that God approved of you and you were guaranteed a position in Heaven. I don’t know if the Catholic attribution is true or not, but a GT development officer would starve to death in Brazil.